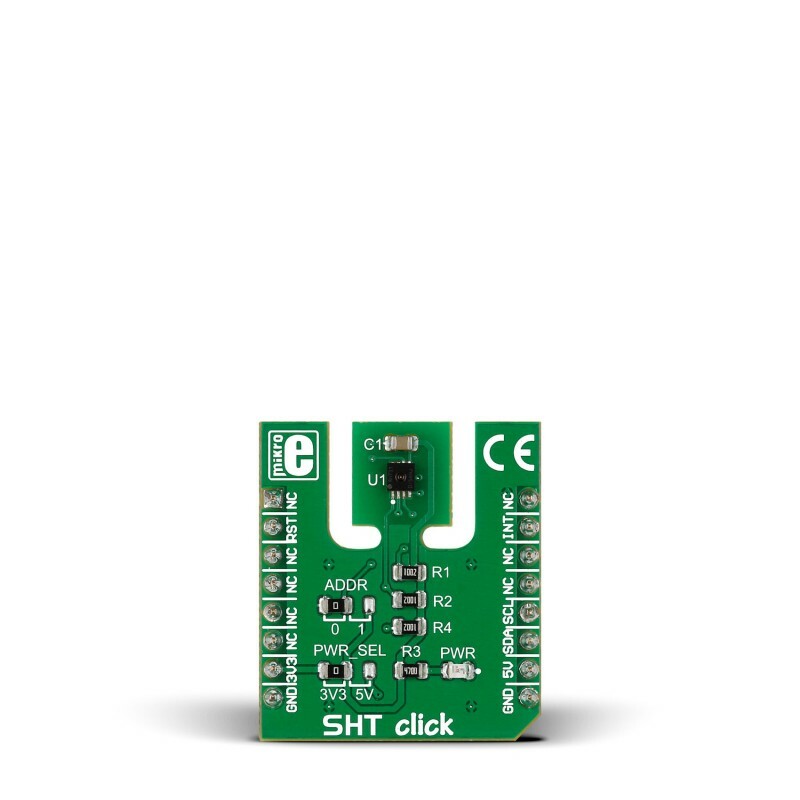 SHT click is a temperature and humidity sensing click board that carries Sensiron’s SHT3x-DIS IC. Compared to its predecessor (SHT11), SHT3x click has increased reliability and enhanced signal processing features with a high signal-to-noise ratio. SHT click is a temperature and humidity sensing click board that carries Sensiron’s SHT3x-DIS IC. Compared to its predecessor (SHT11), SHT3x click has increased reliability and enhanced signal processing features with a high signal-to-noise ratio. Best measurement results are achieved within a 5-60º C temperature range (0.015 resolution) and a 20%–80%RH humidity range (0.01 resolution). 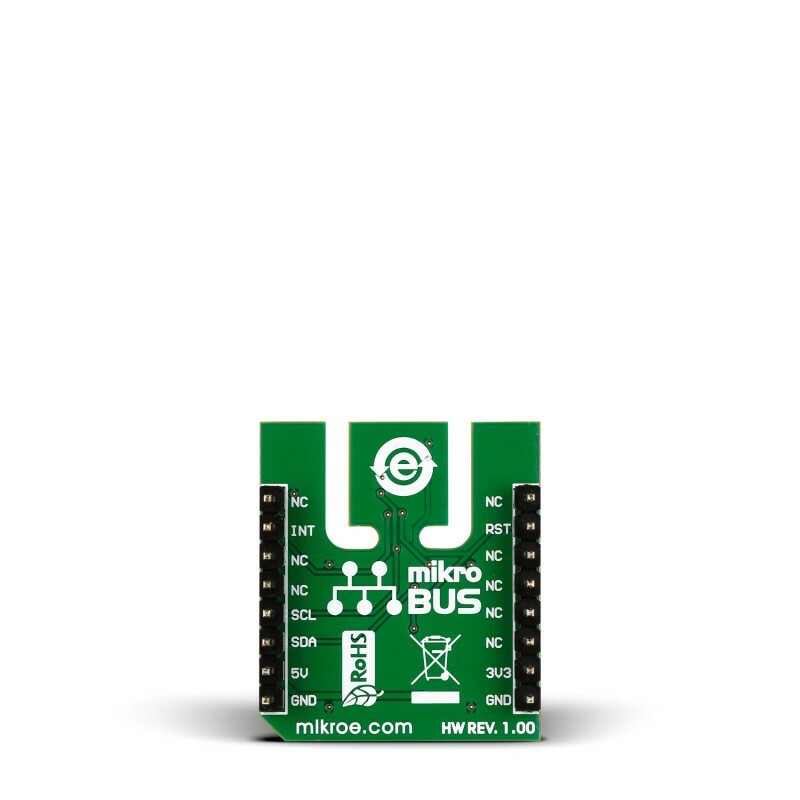 SHT click outputs a fully calibrated, linearized, and temperature compensated digital output through the mikroBUS™ I2C interface (SCL, SDA). An additional INT pin is for setting up alerts for certain temperature or humidity values. Finally, a RST pin allows you to reset the sensor. 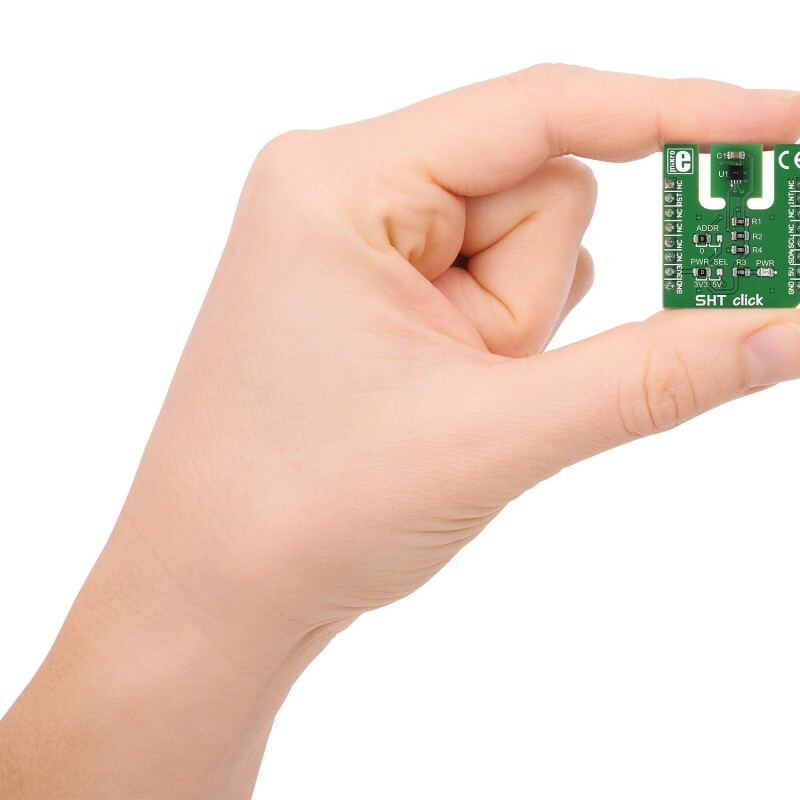 Designed to use either 3.3V or 5V power supply. SHT click features two onboard jumpers. One for setting the power supply (soldered to 3.3V by default) and another one for setting the I2C address. The sensor shows best performance when operated within recommended normal temperature and humidity range of 5 °C – 60 °C and 20 %RH – 80 %RH, respectively. Long-term exposure to conditions outside normal range, especially at high humidity, may temporarily offset the RH signal (e.g. +3%RH after 60h kept at >80%RH). After returning into the normal temperature and humidity range the sensor will slowly come back to calibration state by itself. Also note that prolonged exposure to extreme conditions may accelerate ageing. The following code snippet shows how to send temperature readings from SHT click to a TFT display. The brevity of the code illustrates the simplicity of implementing SHT3x into your design. 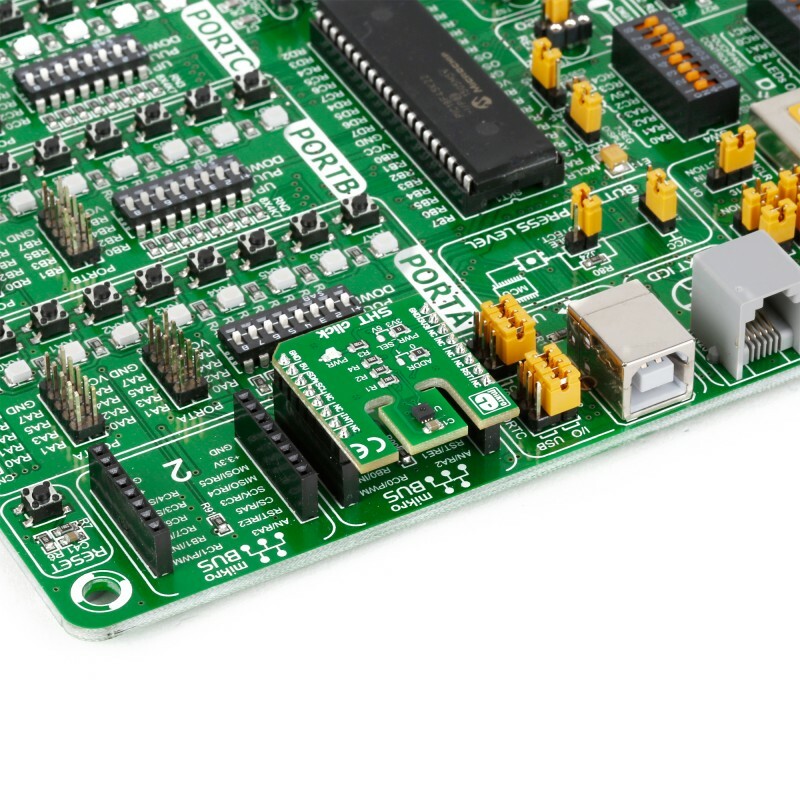 Code examples that demonstrate the usage of SHT click with MikroElektronika hardware, written for mikroC for ARM, AVR, dsPIC, FT90x, PIC and PIC32 are available on Libstock.